The F1 SINGAPORE AIRLINES SINGAPORE GRAND PRIX returns to Singapore! 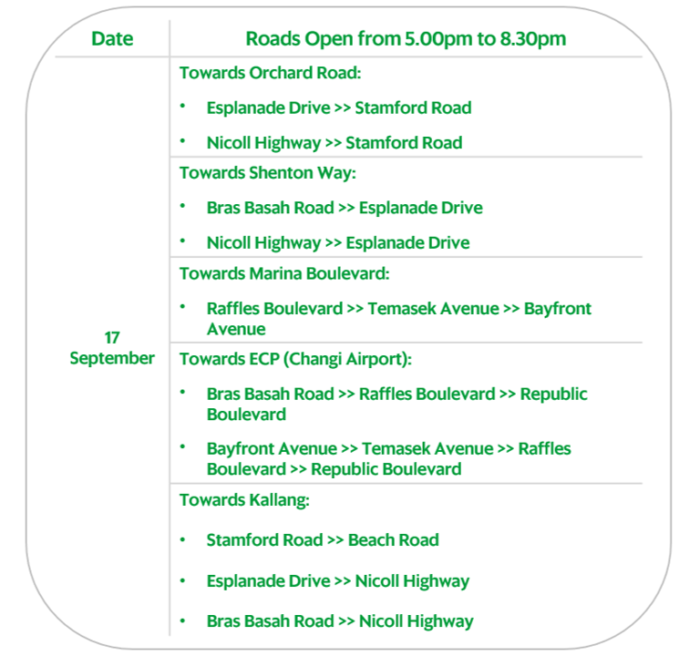 Starting from 12 September, road closures for the Singapore Grand Prix will take place over the next seven days. 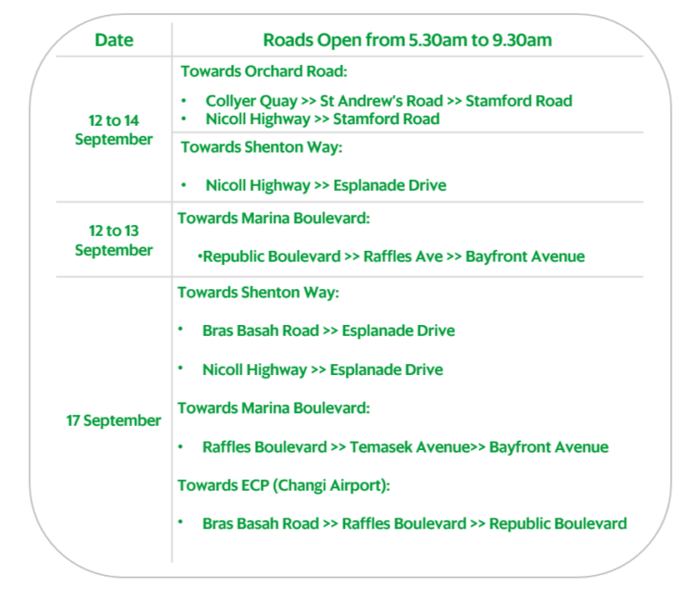 Affected roads will close from 12.01am, 12 September for the set-up of race infrastructure, and all roads will be fully accessible by 5.30am, 18 September. 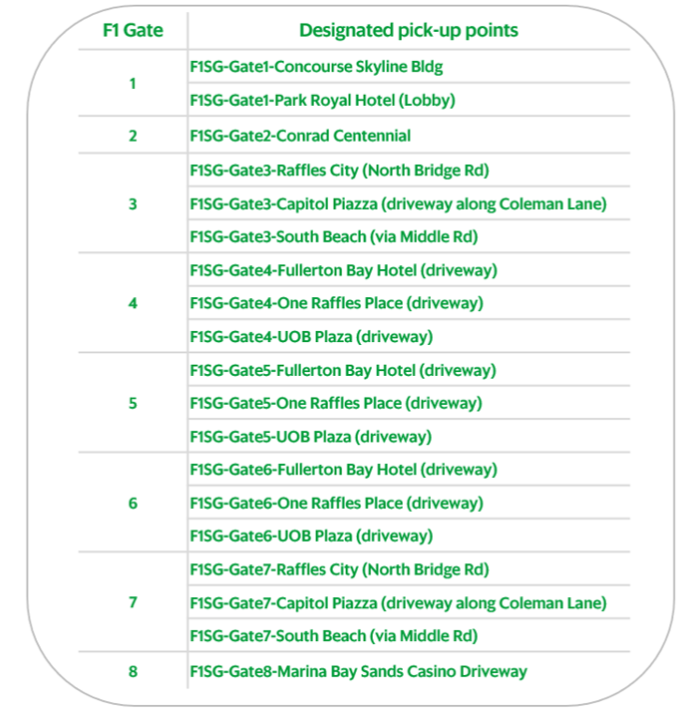 Amidst the crowd of F1 fans, we’ve made it easy for you to locate passengers with specific pick-up points! Amidst the buzz and excitement, please stay safe and Happy Grabbing!